In this blog, I would like to offer a view of the progressive v traditionalist dichotomy through the lens of structure, culture and agency. I am also going to argue that ideas can exist as material objects in the social world. There is a proviso; the ideas must have the potential to be understood. Consider hieroglyphics, for a considerable period no one understood them. The ideas they contained existed on the walls of caves and in parchments but not in the minds of human beings. Ideas then can exist outside of the human mind as material fact; as long as, they have the potential to be understood. Someone eventually did work them out but the people who wrote them are long gone. Their meaning as originally intended is not necessarily the same as the cultural meaning attributed to them in the “here and now”. 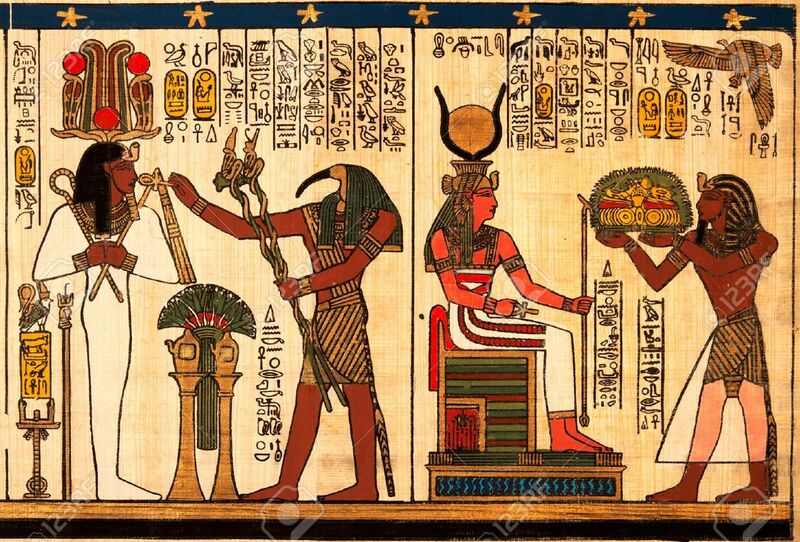 Hieroglyphics are material fact but they are also an interpretation. Many books contain ideas that are subject to contention. Different societies have different cultural interpretations. The great religious works are classic examples of ideas that are poured over and interpreted in many ways. I would argue that the traditionalist / progressive divide is an argument between ideas as material or social facts on the one hand, and as cultural or subjective interpretations on the other. Clearly, we are talking in relative terms but traditionalists favour the former and progressives the latter. The traditionalist places emphasis on knowledge, mastery, memorisation and compliant behaviour because that is what is required to learn material or social facts. Progressives on the other hand value interpretation, critical thinking, less formal social relations and the ability of students to exercise some agency over their learning. That is what is required to interpret bodies of text. It’s no co-incidence; arguments about ideas and interpreted experience has riven the philosophical world since the days of Plato and Aristotle, later dividing the idealists and empiricists. The bible is a book full of ideas. It was, however, compiled hundreds of years after the individual parts were written. It is unclear who wrote the individual parts and why. No one person knows the Bible, no one person has ever known the bible. Even if one person memorised the words they could not claim to understand their meaning. Knowledge, after all, cannot possibly be a relationship between learning and long-term memory. We can learn and memorise things that are not true. The bible is interpreted and contextualised by the context and the point in space and time when it is read. Those interpretations are constrained, however, by the existence of a written body of text. You can’t just make stuff up. It is an example of structure, culture and agency. Firstly, it is maintained by a hierarchical structure of social groups intent on imbuing it with social relevance. Secondly, it has cultural meaning. Finally, individual agents interact with it and derive meaning from it, often what is in the bible bears little resemblance to the cultural meaning given to it by society. The bible is regarded both as fact and as an interpretation by different groups in society. Traditionalists suggest a cannon, the best which has been thought and said but is it possible that a canon can represent the enormity and diversity of the cultural domain? There is simply too much knowledge and too many fields. Knowledge is often contested. There are also power relations to be considered. Can you extricate the ideas in the bible from the power relations that construct it? Are the ideas within it as important as some would suggest? Some books are less easily challenged than others, such is the ferocity that the ideas are defended. Even worse, because the importance of cultural meaning is diminished learning becomes the relationship between knowledge and long-term memory. Knowledge is effectively orphaned from its social and cultural context. Consequently, traditionalist debate is centred on cognitive psychology, cognitive load theory and the faux science of educationalists working on the fringes of the natural (often medical) sciences with meta-analysis and size-effects. After all, if knowledge is social fact rather than relational construction, what is there left to do other than remember it? Progressives, on the other hand, favour an approach based on thinking skills and critical reasoning, Students are taught to access, and engage, with information, which better prepares them to interact with the world; complex, stratified and the subject of much contention. The emphasis of the progressive is not the idea but the ability of the individual agent to interpret the idea. The problem of the progressive approach is its complexity. How are we to assess individual interpretations of an idea? Assessment is itself an interpretation. There is also the issue of threshold concepts in subjects such as Mathematics and Languages. Early stages of learning are dependent upon procedural knowledge, the rules of the subject. Some ideas cannot be interpreted because other related ideas are dependent upon a fixed meaning. Progressives are in danger of collapsing knowledge in favour of relativistic concepts of meaning. There are no social facts only cultural interpretations. What determines the progressive or traditionalist approach is where the emphasis is placed. Neither Progressive nor Traditionalist has resolved satisfactorily the issue of 21st-century knowledge. There is always going to be ideas and subjective interpretations of those ideas. You cannot conflate the two nor can you do away with one, or the other. Emphasis will also determine the type of teaching adopted. The method will be the same: direct instruction, group work etc, but the “why’s and wherefores” will be different. Both traditionalist and progressive views are dependent upon one another, causally related but analytically distinct. There are no winners or losers in the Traditionalist v Progressive argument. There is, however, a balance to be struck that will always be contentious. Thanks for the post. I’m going to avoid your direct question (sorry!) and post another. Before we even reach the stage of asking what the curriculum might look like we have to pose questions around it’s purpose. We could (for simplicity’s sake) put this into a binary – “to prepare you for employment”, “to make you a better person” and we could (possibly and rather crudely) call these ‘traditionalist’ and ‘progressive’ – though it would be interesting to see who claims what and of course it is doubtful anyone would want to plump for only one of these. The problem is, of course, that this is also an ever-changing demand over time and so makes the setting of the curriculum difficult. Yes good question. I think we all agree that the purpose is to improve knowledge and skills of all. Then comes your question, which knowledge and skills do we improve. I would say, as a progressive, that you can take a pragmatic view. Some will require an academic approach and some vocational. The problem is and always has been that vocational qual’s have not had the same status. I think the representative languages: basic Math and English are essential we can’t function without them. After that I think you take a pragmatic view. A canon is purposeless in my view. the knowledge should be field related either to an academic discipline or to a work related discipline. You are right though it is complex but Greek and Latin would be off my list until post 16. Thanks for the post.